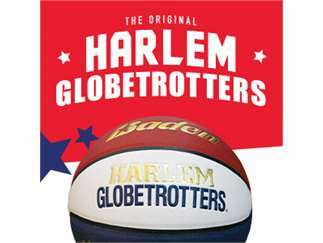 The famed team will feature a star-studded roster that includes Big Easy Lofton, Ant Atkinson, Hi-Lite Bruton, Thunder Law, Bull Bullard and Cheese Chisholm*– the Globetrotters’ one-of-a-kind show is unrivaled in the world of family entertainment. Every game will showcase incredible ball handling wizardry, rim-rattling dunks, trick shots, hilarious comedy and unequaled fan interaction. Prepare to be amazed as the Globetrotters showcase basketball’s first 4-point line, located 30 feet from the basket – 6 feet, 3 inches beyond the top of the NBA’s current 3-point line You won't want your family to miss it – buy your tickets today!